Bogong Moth (Agrotis infusa), almost a snack itself. In this case, it’s not size that matters, but numbers. 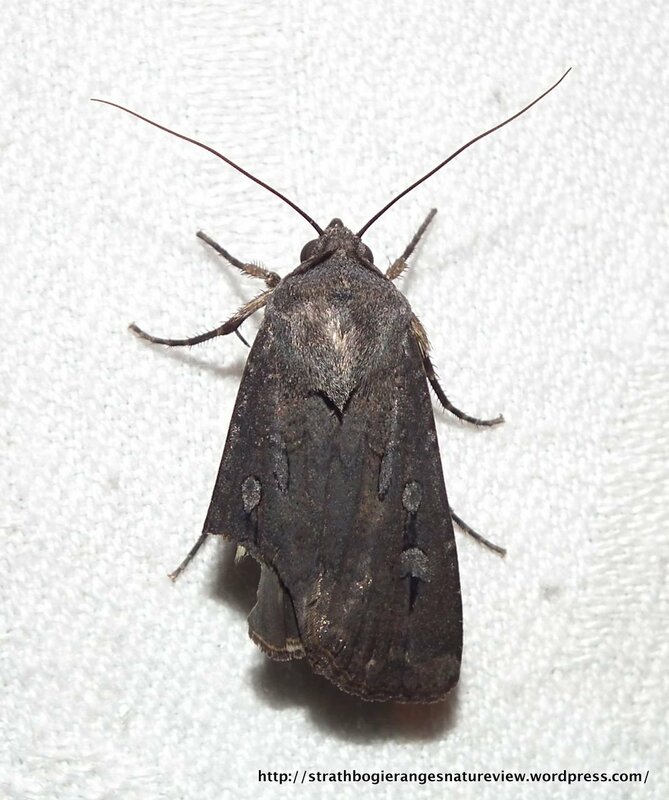 Most people know that Bogong Moths were an important seasonal food source for Indigenous Australians and that coastal people would travel many kilometers into the Victorian Alps and Snowy Mtns to feast on them over Summer. Many people then infer, incorrectly, that these must be large moths, if they’re going to be worth that effort. 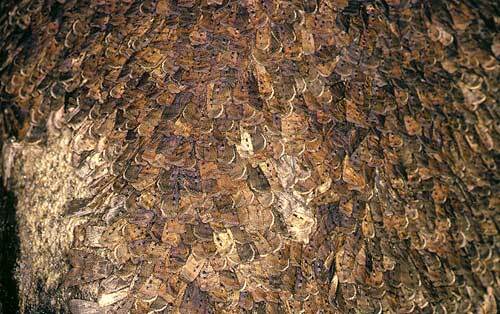 In fact, Bogong Moths are a lot smaller than many people realize: body-length ~35 mm, wingspan ~45 mm. Their importance as bush tucker is because they can congregate in very large numbers in the cool caves and rock shelters of the high country over Summer. Interestingly, it seems that not all Bogong Moths make the trek to the high country in Spring, as they are a common sight at lights all summer long in the Strathbogies. This raises the question of whether the higher, rocky peaks of the Strathbogies are/were sites of congregation for Bogon Moth over Summer? If so, might this have been one of the drawcards for local Aboriginal tribes to visit the Ranges during Summer? It’s become clear in recent years that Taungurong people were at least regular visitors to the Strathbogie Ranges. Were Bogong Moths on the menu? Next Next post: March of the millipedes! Great post Bert. Presumably any sites in the Strathbogies would have to be large rock overhangs if there was a meal to be had or perhaps they were captured at night using light from campfires? Do both males and females have colourful stripes under their wings?